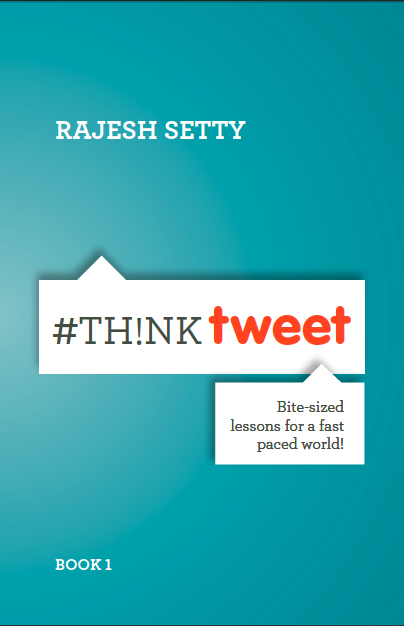 This is where ‘#Th!nkTweet: Bite-sized Lessons for a Fast-Paced World‘ comes in. It is a collection of 140 bite-sized lessons that will help you learn and grow. #Th!nkTweet is a book that you can read again and again or simply give this to someone who you know needs it but don’t have the time to read. This is a book you can read in 15 minutes or less but then again, you might want to re-visit again to refresh and re-learn. #ThinkTweet is a gift that you owe to yourself!